India’s nominee to the International Court of Justice (ICJ) Dalveer Bhandari was on 20th November re-elected to the fifth and the last seat of the world court after Britain withdrew its candidate from the election. Mr. Bhandari received 183-193 votes in the General Assembly and secured all the 15 votes in the Security Council after separate and simultaneous elections were held at the UN headquarters in New York. The elections were held after United Kingdom, in a dramatic turn of events, withdrew out of the race for the Hague-based ICJ, thus paving the way for Mr. Bhandari’s re-election to the prestigious world court. Mr. Bhandari and Britain’s Christopher Greenwood were locked in a neck-and-neck fight for re-election to the ICJ. Prime Minister Narendra Modi described the election of Bhandari, 70, as a “proud moment for us” and credited foreign minister Sushma Swaraj and the external affairs ministry for the victory. He also thanked all members of the General Assembly and Security Council for “their support and trust in India”. For the UK, the vote meant it will not have a judge at the ICJ for the first time in The Hague-based court’s 71-year history. The Guardian described the development as a “humiliating blow to British international prestige and an acceptance of a diminished status” in world affairs. 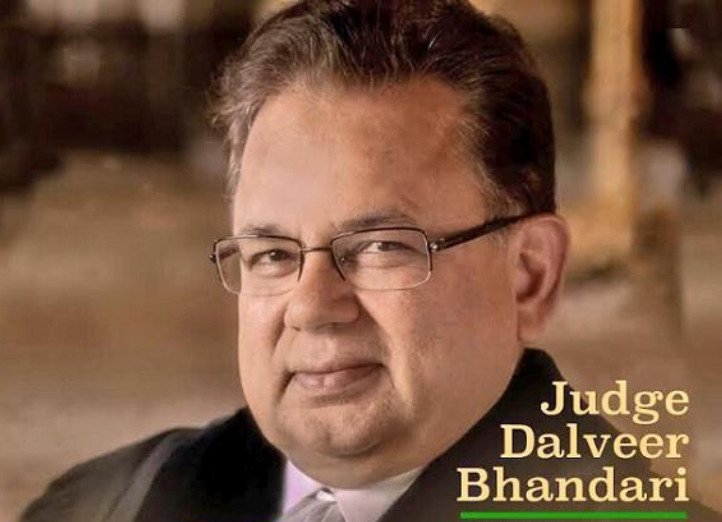 Dalveer Bhandari acquired degrees in the humanities and law from Jodhpur University and practised in the Rajasthan High Court from 1968 to 1970. In June 1970, he was then invited to a six-week workshop organized by the University of Chicago on research on Indian law in Chicago on an international scholarship and subsequently on another international scholarship, he obtained a Masters of Law from Northwestern University School of Law.